There are writings systems of Africa that are very well known and some that aren't.Some of these writing systems may date back to the BCE era. One of the more famous is the Meroitic system of writing dating all the way back to 700 BCE to 500 A.D., this mysterious script which scholars are still trying decipher also gave rise to the Old Nubian Script which was used in the Nubian Middle Age period. 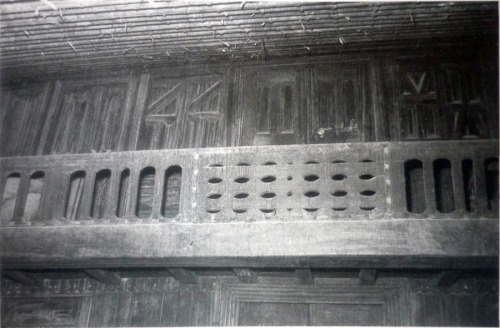 Ge'ez used in the in ancient Abyssinia is very famous and was used as for the liturgical purposes of Early Church Writing in the Tewehedo Church .Ge'ez is said to be part of the Old Sabaean writing system. Tifinagh is another ancient writing system that was used 6th century BC its very famous and its characters have been inscribed in different tombstones of Sahara. Many countries located in the Sahara have adopted this script and have applied it to record some of their historical events. Ndibisi writing system from Nigeria origins are unclear. It is a writing system of the Igbo and is said to be used by a secret societies and had many sacramental religious purposes. But traces of this ''recording system'' have also been found in old tombstones in Virginia and also among Abuka religious societies of Cuba. Now what defines writing systems are sometimes met with much bias, as the so called Vinca script of Europe was said to be one of the first writing systems. But those characters contain no sylla-graphs or phonetic sound characters. The Vinca writing contains mostly so called symbols who some say is pictographs. Meroitic Script 300 BCE to 4th century A.D. The Bassa language belongs to the Kwa family of languages and is spoken by about 350,000 Liberians. Written Bassa has an indigenous script that gradually fell out of the use in Liberia during the 1800s. 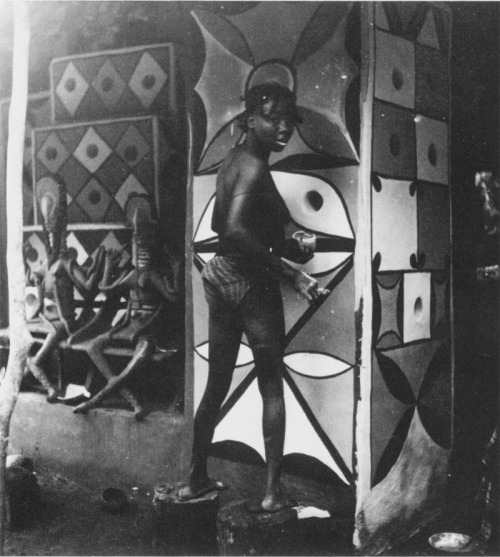 In the early 1900s, however , Dr. Flo Darvin Lewis, a researcher, discovered that the Bassa script was still being used by Bassa communities in Brazil and the West Indies. These Bassa descended from Liberian slaves who had been brought to the New World. Dr Lewis decided to learn the Bassa himself and the reintroduce the script in Liberia , where he later set up a school to teach indigenous script. Dr. Lewis also managed to acquire a printing press, with which he produced reading materials written in the Bassa script. The script is most popular among the older generation of Bassa speakers. Today , the Bassa Vah Association of Liberia tries to preserve the Bassa script. Indigenous Scripts and Literature in Liberia 500 BCE. 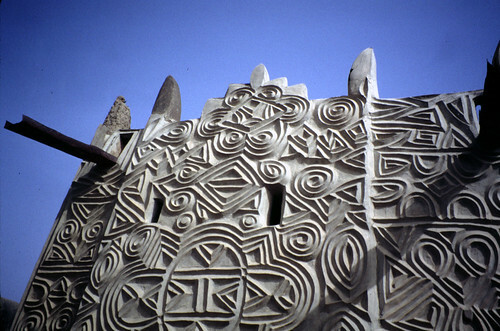 A significant aspect of Liberian history is the invention of indigenous scripts by several of its indigenous peoples. The Vai, Bassa , Kpelle, Gola ,Loma, Grebo, and Kissi all invented their respective times in their histories. The Bassa script is said to have been invented by 500 B.C. , though this is assertion is possibly conjectural . Called by the Bassa , meaning “to throw a sign,’’ it was meant to convey meanings through signs. Messages were passed through teeth marks on leaves placed at strategic positions where recipient of messages would read and decipher them. They were also transmitted through carvings on the bark of trees. This crude sign language was later codified in a complex written form. The Bassa script was taken to the Americas by enslaved Bassa(according to oral sources, by a man named Dirah and his partner , Madam Toeman, and developed by their son, Jenni Dirah) and passed from generation to generation. This New World survival (in Brazil and West Indies ) was discovered by Flo Darwin Lewis, a Liberian Bassa, who studied at Syracuse University in the United States . 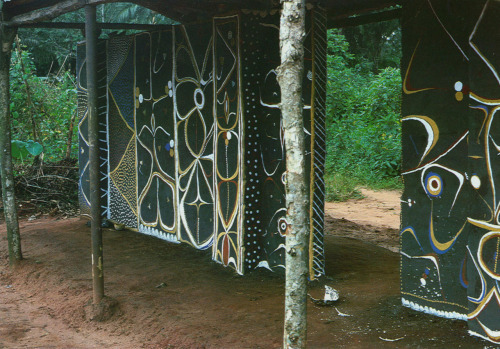 He launched a campaign for the revival of the Bassa script or alphabet ( called Ehni Ka Se Fa ) in Liberia. 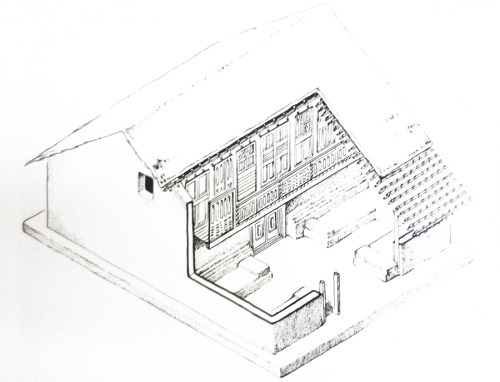 Though Lewis acquired a printing press for the script and established an institution for study of Vah, he could not consummate his dreams before his death. However, the Bassa Vah Association rekindled interest in the development of the script for the purpose of publishing secular and religious literature, including newspapers . By the early 1970s , the Liberian Ministry of Education had formally reconized Vai and Bassa as written indigenous languages worthy of inclusion in the curriculum of the University of Liberia, but there were no personnel to teach the subject. I will have a closer look to these. is Ge'ez a semitic language? i notice that some letter names are extremely similiar to hebrew and also the way those letters look. Ge'ez was an ancient Southern Semitic language that was the progenitor for the present writing system of Amhraic. Ge'ez is sometimes called a Kush*tic language, in Genesis 10:7 And the sons of Cush , Seba and Havilah , and Sabtah; and sons of Raamah; Sheba, and Dedan. Even today you still some can see some Ethiopic tribes in lower Arabia and Yemen , then you can see Arabic tribes in Eritrea and Northern Ethiopia. The two peoples histories have been intertwined since early recorded history. Havilah is thought to be the land of Cush, which in ancient times was known to be the land of Gold. Ge'ez writing became fully matured at the 4th to 5th century A.D. The language itself however became extinct in later times but the characters and writing system were preserved for other Ethiopian languages like Afan Oromo and Amharic.The ancient speakers of Ge'ez are the Agew and the Tigre people of Northern Ethiopia and Eritrea. Progressing into later times the melting pot of other tribes including the Agew and Tigre people created a language called Amharic. It cannot be denied that Ge'ez was not an isolated language and did not have non-semitic influence. Greek and Coptic have influenced the language as they are some loan words or derivative forms of Greek and Coptic in the Amharic language today. Recent studies have found that the Ge'ez script may have been conceived from Egyptian Hieroglyphic text not to doubt they are many similarities with both writing systems.Recent studies have also found that Aramaic Hebrew may have been conceived by a Proto -Sinatic alphabet, moreover they are many similarities of the Hebrew writing system and the Ethiopic Ge'ez character usage. *Entered as a historical footnote so as to preserve the intellectual integrity of AE Forum! Ge'ez as a language did go extinct. The only people who speak Ge'ez today are the esoteric priestly class of the Tewahedo CHurch today. Anyway I already stated that already above, and the previous statement would be either repetitous or a reassertion depending on if you are hard of understanding or failed to read what was actually written in this thread before. Ge'ez words merging into Amhraic language was already written in the post if you noticed, and no Amhraric is not the same as the Ge'ez. We could say that the Italian preserves many of the same words as the ancient Vulgar Latin , but we know it is conjecture of many influences due to many invading tribes like the Lombards and the Ostrogoths. It might be ones opinion to say that the ancient Hebrew language (Old Aramaic) survives because the Ashkenazi Jews speak Yiddish or the Sephraim Jews speak Ladino but that it is incorrect, because it is totally different from the original Old Hebrew Assyrian-Aramaic. A devout Ethiopian militant such as Woyanne would be the first to catch his foot in your rear end if one utter such nonsense information since Ge'ez language is very sacred to Tewahedo adherents. A footnote I would strongly take into consideration!! As usual you have not altered your insulting tone to complement your pomposities which--to be expected--do not allow for the acceptance of proper parallels. "Esoteric priestly class" is a phrasing employed only by a wannabe pedant. That Ge'ez remains the liturgical language of not only the Orthodox but also the Catholic and Jewish "clergy" totally escapes you, but hey your pretensions even make Wiki appear erudite in its discussion of Ge'ez. As always, the failure to exercise due diligence renders all of your conclusions more than suspect. Give me a break, I can also say that cuneiform remains alive because Assyriologist know what it means or even ancient Egyptian language and ancient hieroglyphs remain alive because many egyptologist speak it, but that's not the case. Those languages are only spoken by a few who study it when it is virtually not spoken by even the inhabitants of were it was once the prominent . Its funny how some participants on this site want to get specific when dealing what most people called the name of country when it was annexed or ceded period off at a period of time, or what actually constitutes the continuity of a culture to what actually entails ceasing of a culture, and what actually dictates that political leader of a country is a dreaded threat just because your country doesn't get along with them. Definitely double standards. i notice that some letter names are extremely similiar to hebrew and also the way those letters look. the derivatives of the indus script. Need further clarification. This thread is one of the first if you search "African Writing Systems", so I want to complete in a little part. The origins of the Bassa alphabet are obscure. Its name in Bassa is Vah, which means 'to throw a sign'. The alphabet fell out of use in Liberia during the 19th century. In the 1900s, a Bassa by the name of Dr Flo Darvin Lewis discovered that former slaves of Bassa origin living in Brazil and the West Indies were still using the Bassa alphabet. Dr Lewis had not encountered the alphabet before and, after learning it himself, he decided to try to revive the alphabet in Liberia. Dr Lewis obtained a PhD in Chemistry at Syracuse University, then returned to Liberia via Dresden, where he commissioned a company to manufacture the first ever printing press for material written in the Bassa alphabet. In Liberia he set up a school to teach the Bassa alphabet. Originally the Bassa alphabet was written on slates with charcoal, and the writing could be easily erased with a leaf known as yan. People began to write with pencils in the early 1940s. The original writing direction was boustrophedon (alternating between right to left and left to right, but the alphabet has been written from left to right since the 1960s. Today the Bassa Vah Association promotes the use of the Bassa alphabet. They were once taught in a school to children. Many of the signs deal with love affairs; those that deal with warfare and the sacred are kept secret. Nsibidi is used on wall designs, calabashes, metals (such as bronze), leaves, swords, and tattoos. 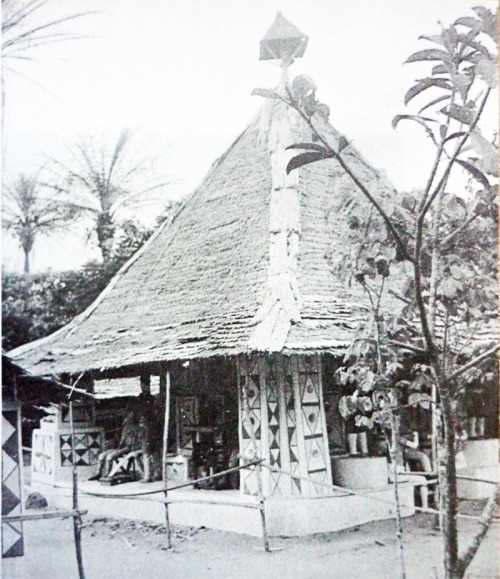 It is primarily used by the Ekpe leopard secret society (also known as Ngbe or Egbo), which is found across Cross River among the Ekoi, Efik, Igbo people, and other nearby peoples. Outside knowledge of nsibidi came in 1904 when T.D. Maxwell noticed the symbols. Before the British colonisation of the area, nsibidi was divided into a sacred version and a public, more decorative version which could be used by women. Aspects of colonisation such as Western education and Christian doctrine drastically reduced the number of nsibidi-literate people, leaving the secret society members as some of the last literate in the symbols. Nsibidi was and is still a means of transmitting Ekpe symbolism. Nsibidi was transported to Cuba and Haiti via the Atlantic slave trade, where it developed into the anaforuana and veve symbols. It was devised by Mohammed Turay (born ca. 1850), an Islamic scholar, at a town called Maka (Barri Chiefdom, southern Sierra Leone). One of Turay's Koranic students was a young man named Kisimi Kamara. Kamara was the grandson of Turay's sister. Kamara also married Turay's daughter, Mariama. Turay devised a form of writing called 'Mende Abajada' (meaning 'Mende alphabet'), which was inspired in part by the Arabic abjad and in part by the Vai syllabary. Turay's 'Mende Abajada' was adjusted a bit (order of characters) by Kamara, and probably corresponds to the first 42 characters of the script, which is an abugida. Kamara developed the script further (with help from his brothers), adding more than 150 other syllabic characters. Kamara then popularized the script and gained quite a following as result -- which he used to help establish himself as one of the most important chiefs in southern Sierra Leone during his time (he was not a 'simple village tailor' as suggested by some contemporary writers). I would say that is misleading to call "ancient" to a writing system that was invented in the 19th century. The stones were probably engraved between 1770 to 1830, when the Igbo Diaspora was at its height in Virginia. At that time, the Igbo people comprised approximately 70 percent of the blacks in Virginia, a larger percentage than in any other Southern state. A star symbol at the top of one stone, signifying “congress” or “unity” has similarities to the Kongo cosmogram that depicts the life cycle of birth, life, death and the afterlife. The cosmogram symbol has equal perpendicular crossbars or lines, sometimes contained in a diamond shape or a circle. Here, the linear symbol in the lower register appears to be a combination of the sign for “individual” and “this land is mine.” Together the signs mean the deceased has joined the realm of the ancestors. Both symbols are enclosed in a rectangle, denoting their association. A line separating the symbols emphasizes they are separate but one. 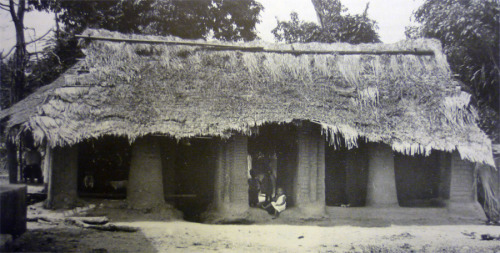 Some Hausa buildings require restoration, Igbo buildings were simply wiped out in colonial times and after. 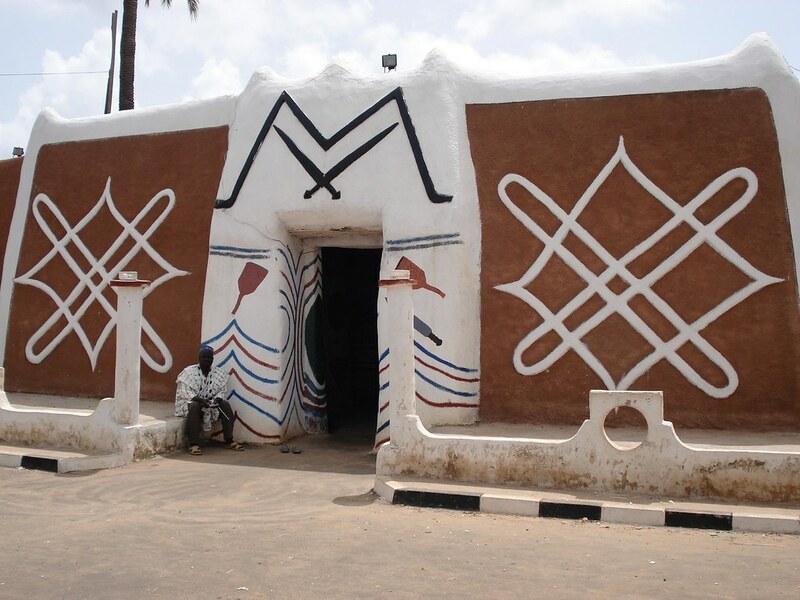 If Nigerian governmets would use 1/1000 of the money for Eko Atlantic to restore Hausa buildings in Northern Nigera it would be great, those cultures don't even have a videogame or movie (Hollywood, not Nollywood) about them. Jilgom: I think people should use standard western alphabet other than for decoration. I think he is little junk, but money wise he is smart and making millions. Nsibidi is currently used to write messages by the Ekpe society while the public version was more decorative. The gravestone clearly shows that the common population of the Calabar region knew the writing system, and with it were able to write messages. Even a random slave knew nsibidi. I must to remember you illiteracy in EU countries before '60 was almost total. The Hausa script of southern Niger is absolutely a complete writing system, and they are not the type of person to worship westerners and create a writing system only because Europeans have one. If they worship someone I'm sure they estimate and try to imitate a muslim society like Saudi Arabia. I knew a woman from Niger, and Islam was everything for her. Bassa Vah is complete and don't even need to be discussed. All of the above are Sub Saharan Africans. Do I need to rememeber you Tifinagh? The world is big enough to contain all these writing systems, and I think it's silly to link everything to Middle East, when clearly it has nothing to do with all this stuff. Hausa? its writing system has Arabic origins, and was imported to Africa. I quote "Since the beginning of the 17th century, Hausa has been written with a version of the Arabic script known as ajami. Most of the early writing in Hausa was Islamic poetry or on Islamic themes. Ajami is still used, mainly to write poetry, but also for at least one newpaper and some books. There is no standard spelling system for Hausa written with the Arabic script so there is some variation in spelling between different writers." So is neither "ancient" nor the system was "invented" in Africa. The alphabet was invented only once in the history of humanity. There were other original writing systems like the sumerian, the egyptian, the chinese and the mayan, but none of them was alphabetic. The alphabet was copied many times and gave origin to the western, arabic and indian writing system, and from there to the rest of the world. Please, don't change history at will. I was meaning Hausa as the ethnicity that use the script, it is confined in a region of Niger and it's not linked to Arabian. Only a very little part of Hausas use that script, and if our eyes are correct it has nothing to do with Arabic. A lot of Hausa know ajami but only a small population of them, in southern Niger, know the script I posted. Ajami is Arabic, that script (you can see it, I posted the image) is not ajami, it's a script confined to a little part of Niger. I know how ajami looks, they use it in some buldings such mosques in northern Nigeria...it's simply arabic. Please, don't erase history at will. Link all of the above to a sumerian/chinese/phoenician script. Please don't distort history at will. As I said, alphabetic writing systems were alien to SS Africa up to the middle ages (when Arabs introduce them), in the same way they were alien once to Europe, before Phoenicians carried them to that continent. And yes, it is interesting there were local varieties of alphabetic writing in Africa developed at early modern times, but that is not "ancient" history.